KARMA KORNER: Watch for our next project! 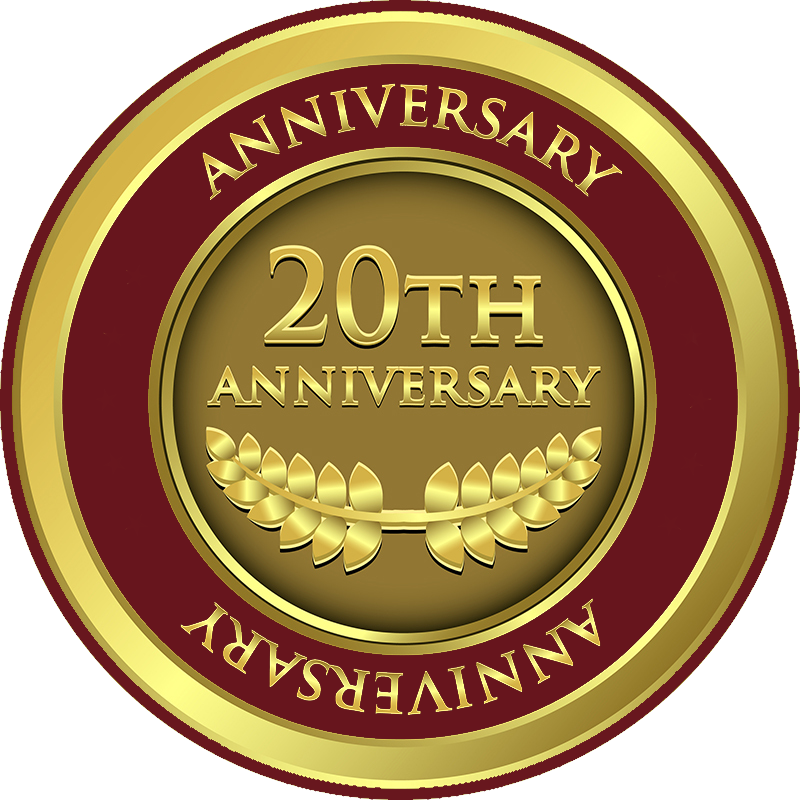 If its been more than 12 months since you've attended classes, we have a special pricing offer! Call Marty at 727-392-9642 and get started today! 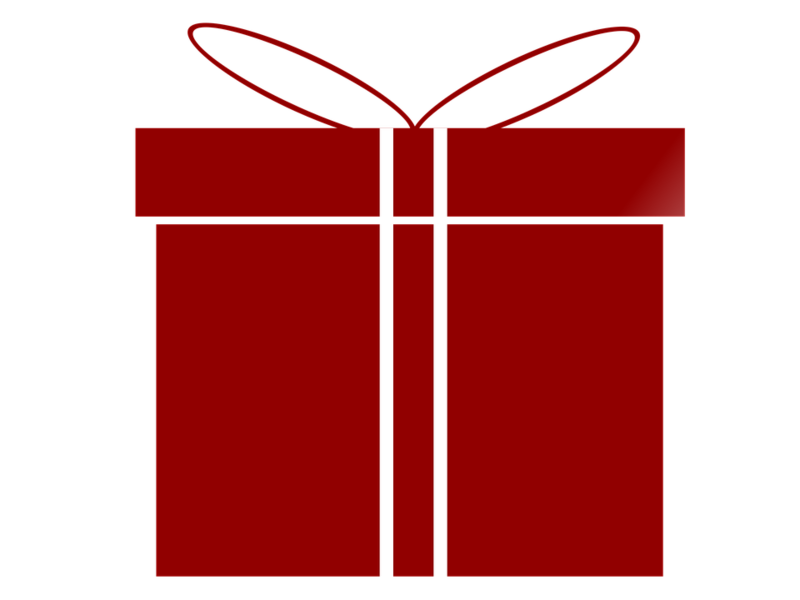 Looking for a Gift Certificate to Yoga4All? New Students - Get a FREE CLASS on your first visit! Choose any class, any day. We have classes for all levels of student. We're open Monday through Sunday with yoga classes multiple times a day, every day. Check out our fully-packed schedule! No time for a regular yoga class? Join us for a weekend workshop. Our specialty workshops accessible to all levels of students. Come for one or come for more! Our reasonably-priced class passes are good for any yoga, tai chi, or chi kung, class. We're conveniently located on Seminole Boulevard in Seminole, Florida. Quick drive from St Petersburg or Clearwater. Visit today! An equinox occurs twice a year, when the tilt of the Earth’s axis is on a level plane with the sun. It marks a time when the hours of the daylight and darkness are equal. It is a time of passage. The vernal equinox marks the passage into spring. Equal energy from the sun and moon provide balance and the coming of spring is a time of rebirth. This is a wonderful time to meditate and project. The sounds and vibrations of the gong help us experience a profound meditative state. Experiencing the gong during an equinox can be a transformative experience. The class will begin with gentle stretching and breath-work followed by the gong which will be played for 50 minutes. Yogi Tea, Indian food and deserts will be served afterwards. You must preregister in order for us to prepare adequate food for the event. Non-refundable 24 hours prior to event. Late registration and walk-in permitted on a space available basis only. Immerse yourself in relaxation with Crystal & Tibetan singing bowls played throughout the practice by Sound Healer Robert Austin. You will experience the healing vibrations of Robert’s bowls as you are supported by bolsters, blankets and other props in gentle opening yoga postures. The Restorative Yoga practice is led by certified restorative yoga teacher Nancy MacDonald eRYT500. You must prepay at least 5 days in advance to guarantee your space. This workshop will fill early. Limited Enrollment due to props requirement. What a great way to spend Valentine’s Day – with someone doing yoga together. Partner Yoga is a great way to feel supported in your yoga practice. It takes you out of your individual practice and into a deep integration with others. Learn safe techniques and appropriate poses for partner yoga. Bring a friend and enjoy!!! Advanced Registration Required. Late registration and walk-in permitted on a space available basis only with instructor permission. If you do not have someone to bring, or for more information, contact Wanda Howe @727-432-3018. Laughter Yoga is a blend of yogic deep breathing, easy stretching, guided laughter exercises with intentionally cultivated childlike playfulness. Anyone can laugh. You don’t need a reason nor do you need to feel good first. The health-building laughter can relieve stress, reduce pain, improve lung capacity and is contagious like yawning and is FUN! Unconditional laughter is truly for everyone. 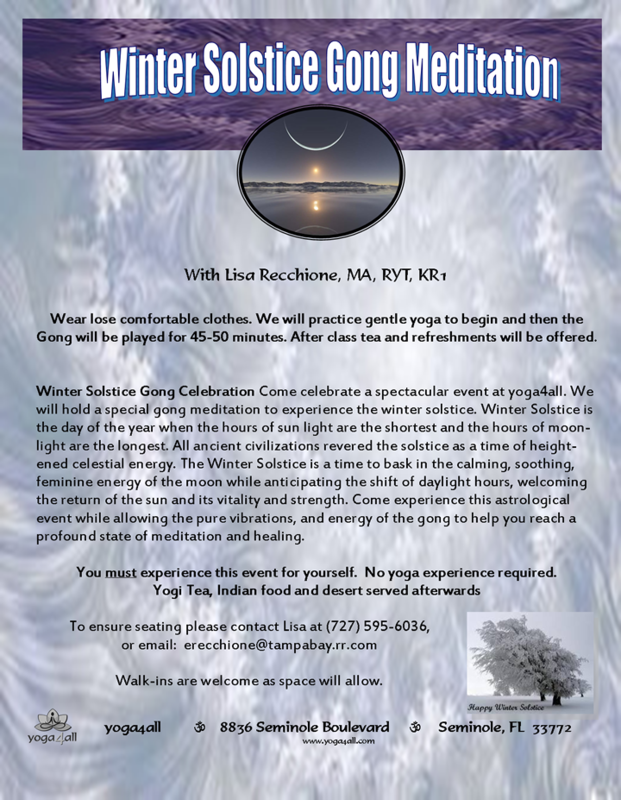 Winter Solstice Gong Celebration Come celebrate a spectacular event at yoga4all. We will hold a special gong meditation to experience the winter solstice. Winter Solstice is the day of the year when the hours of sun light are the shortest and the hours of moonlight are the longest. All ancient civilizations revered the solstice as a time of heightened celestial energy. The Winter Solstice is a time to bask in the calming, soothing, feminine energy of the moon while anticipating the shift of daylight hours, welcoming the return of the sun and its vitality and strength. Come experience this astrological event while allowing the pure vibrations, and energy of the gong to help you reach a profound state of meditation and healing. You must experience this event for yourself. No yoga experience required. You may also sign up at the studio. Walk-ins are welcome as space will allow. Wear lose comfortable clothes. We will practice gentle yoga to begin and then the Gong will be played for 45-50 minutes. After class tea and refreshments will be offered. Enjoy this slow paced class of Restorative Yoga. Lingering in the postures, allowing the body to soften and release… letting go of any stress the holidays may bring for you. Give yourself a gift, the gift of relaxation. 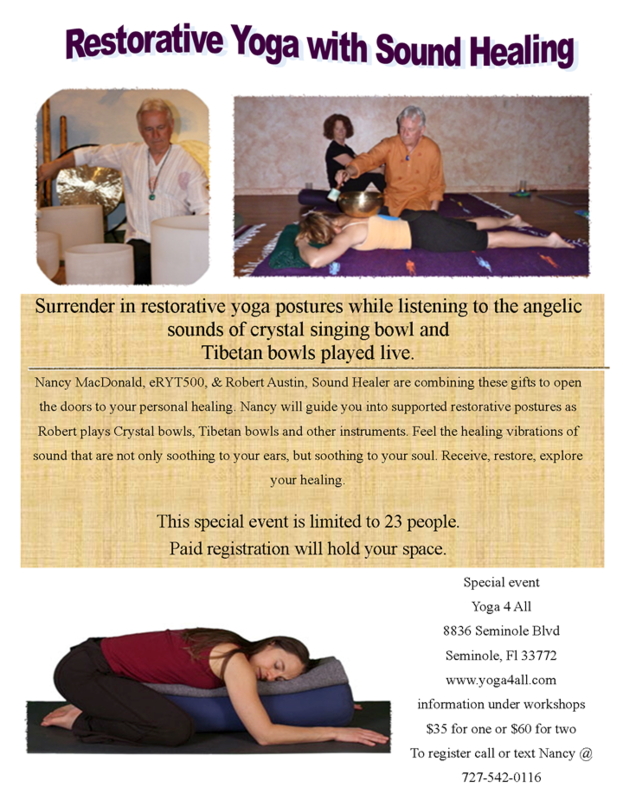 Join Nancy MacDonald ERYT500, Certified Restorative Yoga teacher for this delicious holiday treat of self-care. Limited number of participants and advance registration required due to prop requirements. Therapeutic Yoga for Tight Shoulders with Heather Overton, E-RYT200, RYT500, Experienced Personal Trainer. This therapeutic yoga workshop is designed specifically to reduce stress and tension in the upper body. Find relief with focus on your shoulders, neck and upper back. This therapeutic sequence will help to relax the muscles that so often carry the weight of the world and cause headaches. Perfect for those spending hours at a computer! Receive a copy of the sequence to improve your home practice. Open to all levels of fitness. Advanced registration required. Participant number is limited!! Whether you are a beginner or a seasoned student some poses may seem just out of your reach. Join Wanda for this explorative workshop focused on establishing the necessary foundation to take your practice forward. Learn techniques to help you develop better balance, concentration and alignment. This grounded experience will end with guided relaxation and meditation to allow your body time to soak in the practice. All levels welcome. $35 Pre-registration required. Late registration and walk-in permitted on a space available basis only with instructor permission. Often the core is thought of as only abdominal muscles when in fact it is so much more. In this workshop learn to find your core and learn how to strengthen it safely. Receive a copy of the sequence to take home. Cost is only $20. Late registration and walk-in permitted on a space available basis with instructor permission. Lisa Recchione, MA, RYT 500, E-RYT 200, KRI 200, Certified Holistic Lifestyle Coach. This workshop will introduce you to practices that support brain health and neurological function. It will focus on yogic practices including asana, energy work, meditation, and sound therapy. Every practice offered has been researched in clinical settings. Learn how to use ancient practices to improve memory, reduce stress, optimize brain function, increase focus, and shift emotional and mental patterns. This class is accessible to all levels of student and can be adapted for those with special needs. $35 You must prepay to guarantee your space, walk-ins welcome depending on availability. Copyright © 2019 Yoga4all. Proudly powered by WordPress	& Website Development by Growth Nexus.